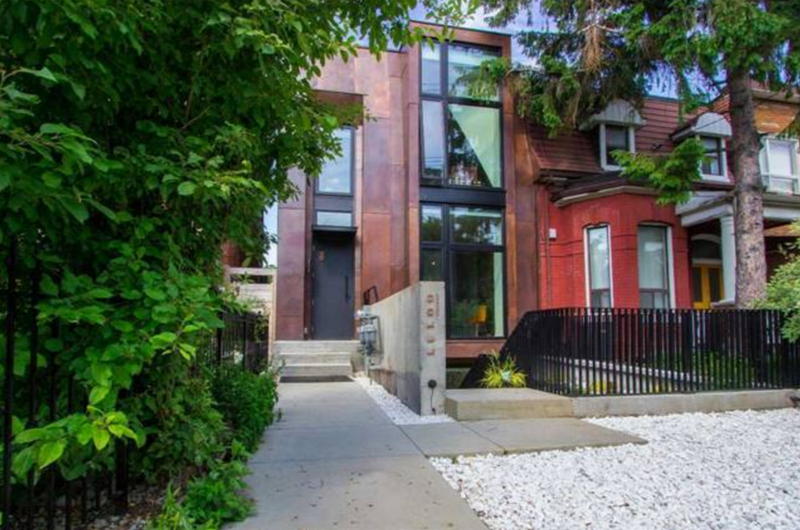 Almost 2 weeks ago, I posted this 5 bedroom, 4 bathroom house with 2 parking spots on a 27 x 70 foot lot at 144 Strachan Avenue in the Niagara neighbourhood of Toronto. It was a house that I wasn’t sure about. I wasn’t a fan of the front like a lot of commentors. But I did like the inside. I couldn’t figure out why they didn’t include a kitchen island and I would move the dining room to the front of the house. Otherwise, I thought it was a god house (except for that air intake at the bottom of the stairs that I notice after posting). It was listed at $3,500,000.